Soft, elegant, and way easier than it looks, the Oktoberfest - Woven Scarf uses self-striping Zauberball Crazy Sock Yarn for an effortlessly colorful warp. The six-point herringbone twill shows up beautifully with a weft of Juniper Moon Farm Herriot Fine Yarn. The alpaca’s subtle halo still allows this striking twill pattern to shine through, while also adding its characteristically soft, slinky warmth to the mix. 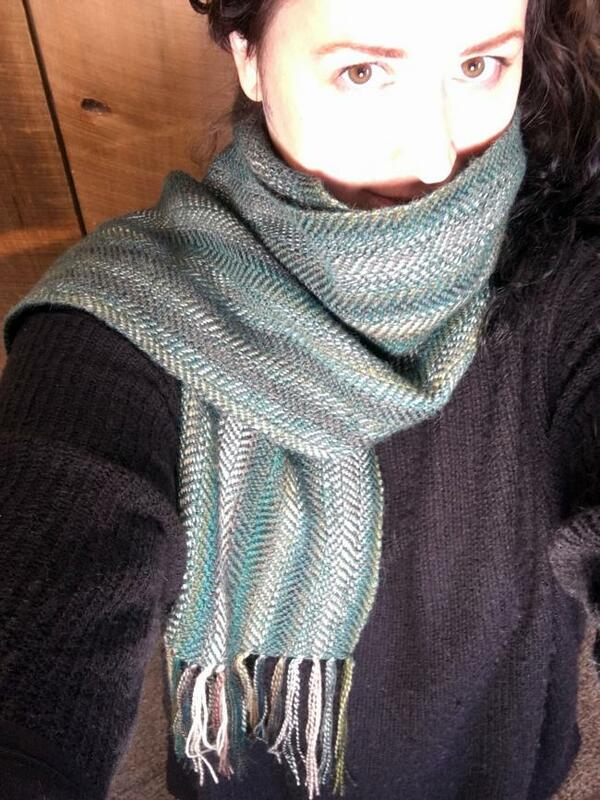 This beautiful scarf came about after I was given a 4-shaft floor loom. The incredibly generous man who gave me this loom (a complete stranger to me at the time) insisted that the only payment he wished for was for me to weave him something. 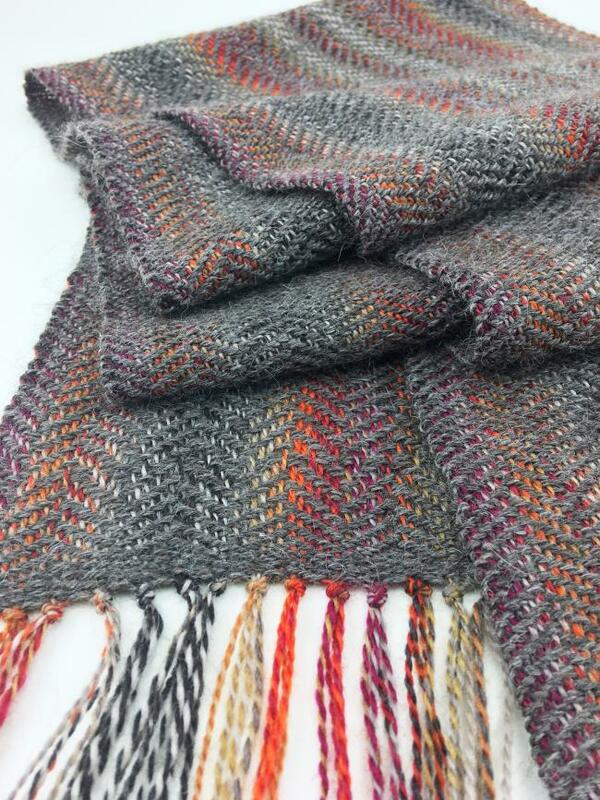 Around this time, the talented Emily Werner was working on her Chickadee Blanket in Norumbega Wool. I loved how her blanket came out, so I decided to use the same pattern for my thank-you scarf. I’m a very new weaver, so self-striping yarn seemed easier than winding a multi-colored warp. 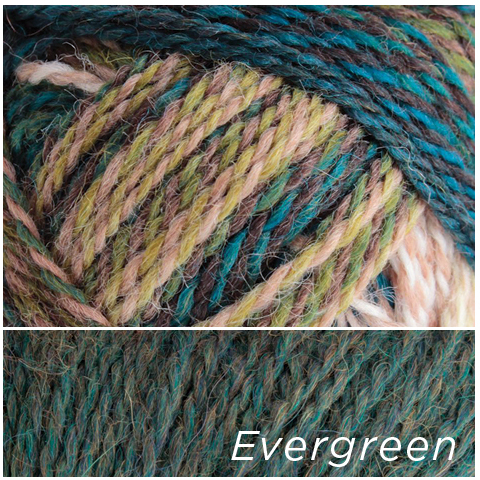 In choosing my weft, I stole another idea from Emily – her Chain Reaction Scarf, which uses Juniper Moon Herriot Fine Alpaca for both warp and weft, made such a ridiculously soft and luxurious scarf I knew I had to use the same yarn. 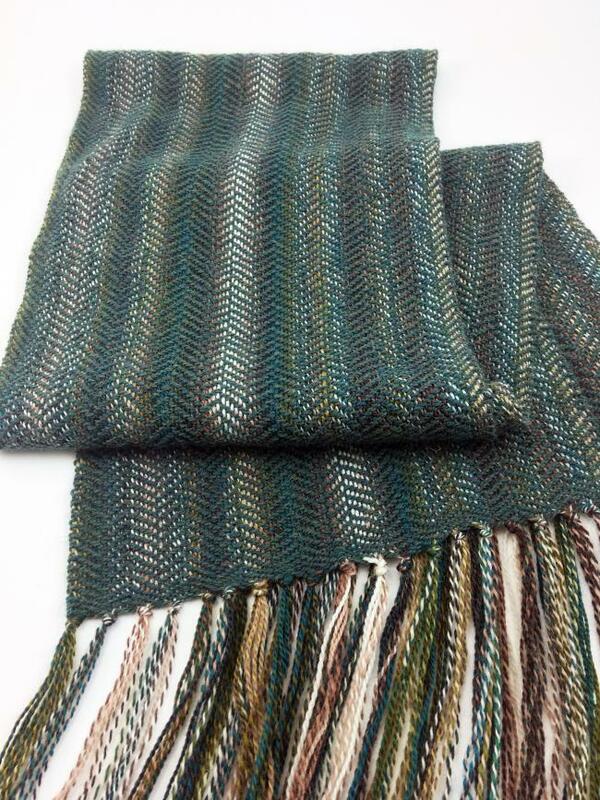 Since I gave away the original scarf, I decided to weave up another one for the shop – they’re so easy we can’t stop. 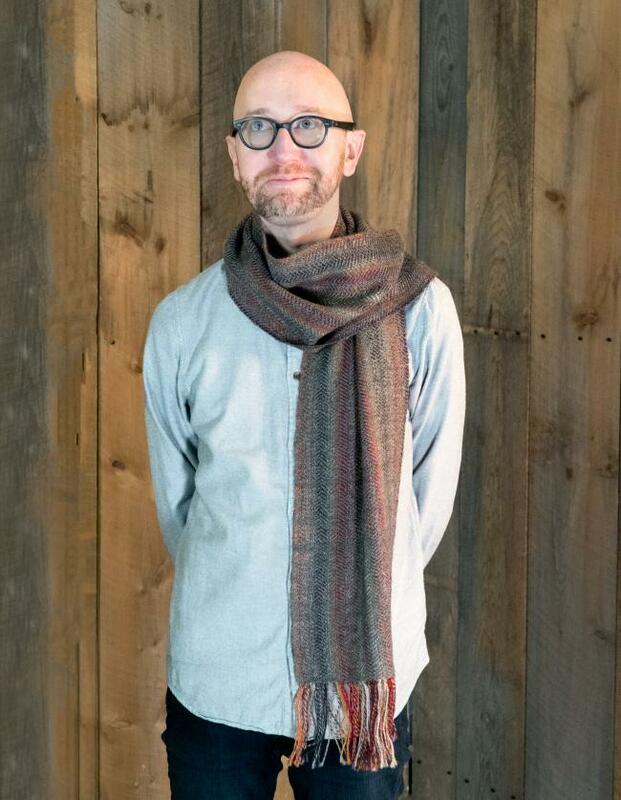 From holiday gifts, to thank you’s this scarf will delight the maker and the recipient! 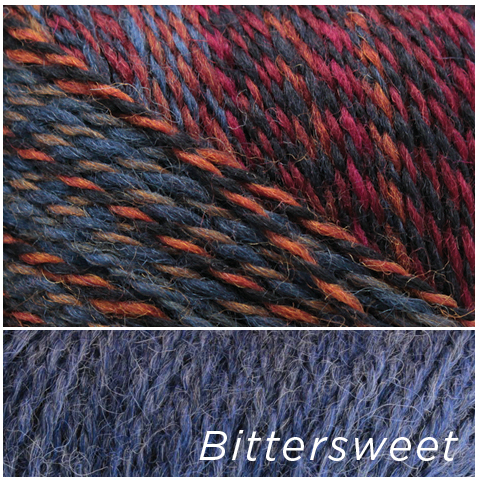 Yarn: Zauberball Crazy Sock Yarn and Juniper Moon Farm Herriot Fine Yarn, one skein each. Choose your own, or select from one of the kits below! Size: 70″ x 10″, plus 4.5″ fringe on each end. • Fringe twister (optional). The models shown left the fringe untwisted. 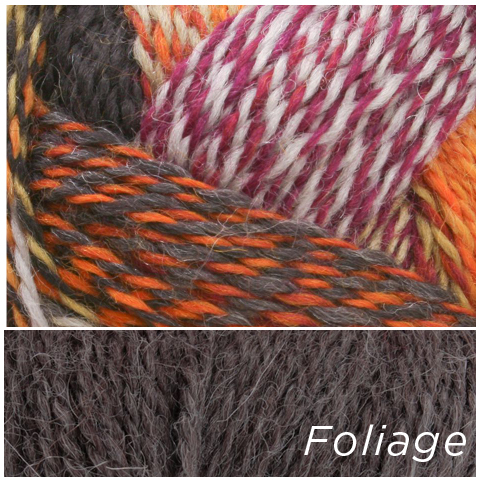 With great colors to choose from I had so much fun picking out combinations – grab a kit and get weaving!